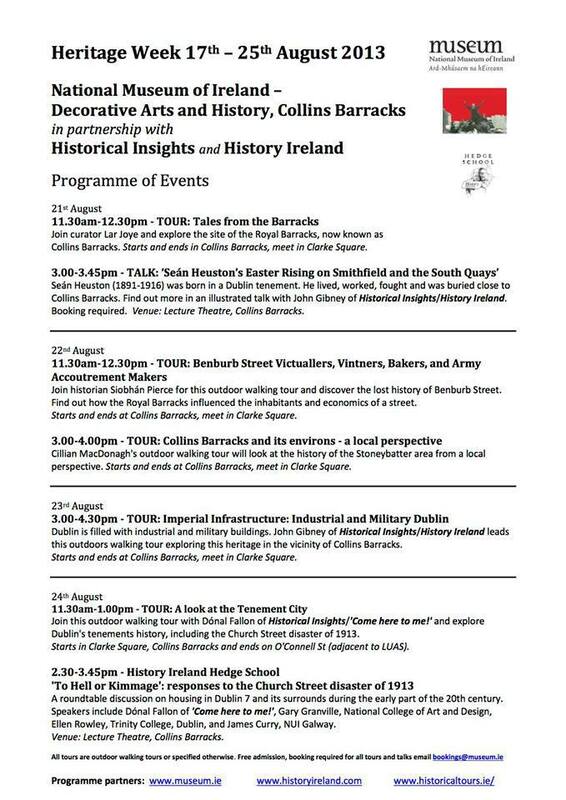 Upcoming Heritage Week Events ( CHTM/ History Ireland/ National Museum) | Come Here To Me! I’m participating in two events for this programme. The times and meeting information can be found in the poster below. 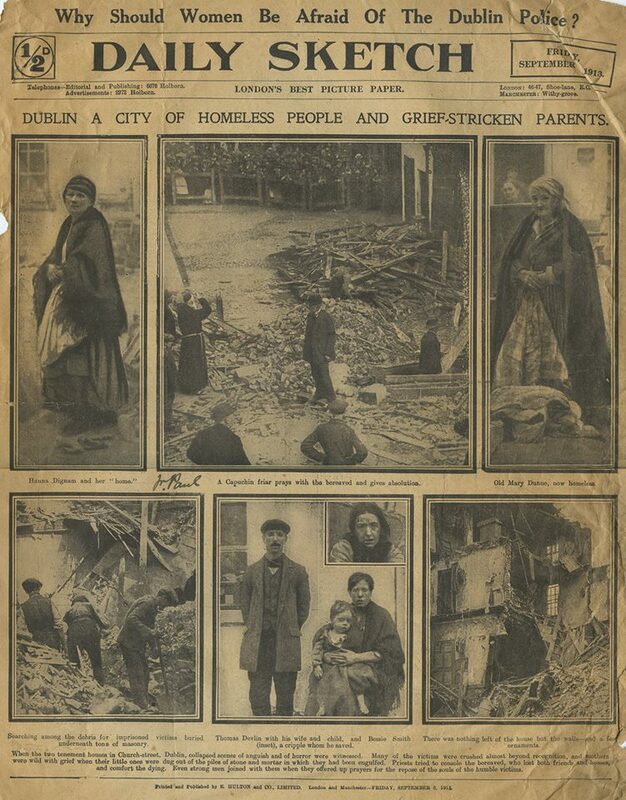 Join this outdoor walking tour with Donal Fallon of Historical Insights/’Come here to me!’ and explore Dublin’s tenements history, including the Church Street disaster of 1913. Booking requried. Adult tour. A round table discussion on housing in Dublin 7 and its surrounds during the early part of the 20th century. Speakers include Donal Fallon of ’Come here to me!’, Gary Granville, National College of Art and Design and Ellen Rowley, Trinity College, Dublin. Lecture Theatre.Booking required.